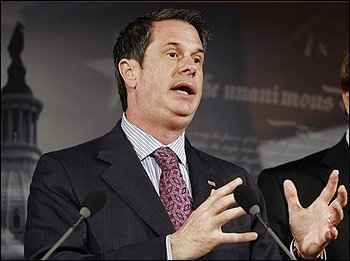 NEW ORLEANS-The Democratic challenger in Louisiana's Senate race is airing a documentary-style television ad detailing the prostitution scandal that sent GOP Sen. David Vitter scurrying from public view in 2007. Rep. Charlie Melancon's campaign would not say how much it spent on the two-minute ad, which said it started airing Wednesday on cable systems across the state. The ad features a grainy black-and-white re-enactment of a man resembling Vitter leaving a hotel room. It also includes scenes from a news conference where he admitted to an unspecified "serious sin" after his phone number was found among the records of a Washington prostitution ring.